Welcome back Maharanis! 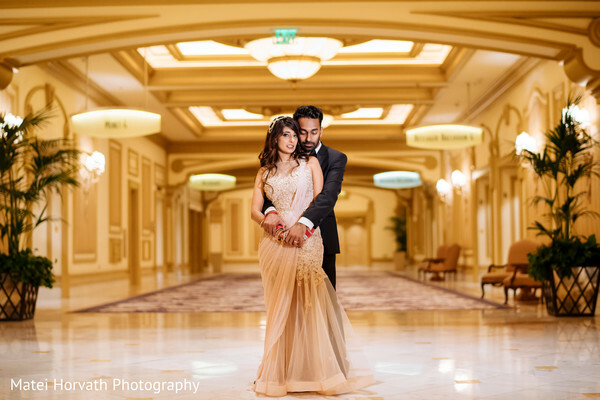 Ruchika and Mohith’s glam reception setup at the Bellagio took our breath away! It was pure sophistication from beginning to end, with LED Unplugged providing the uplighting and Layers of Lovely adding such lush floral and decor to the gold gilded space! 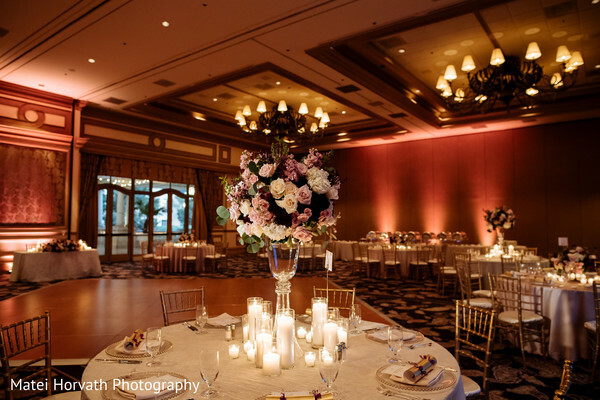 With so many venues and details involved in this destination Las Vegas wedding, Scheme Events helmed the planning and decor duties, and made sure every event went off without a hitch! 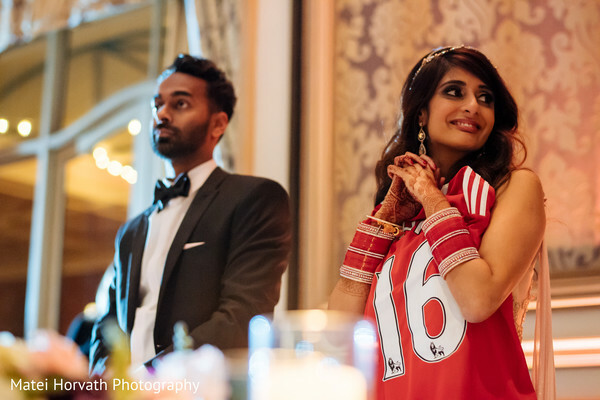 The reception was such a joyous celebration of Ruchika and Mohith, and it is obvious how beloved the two are! 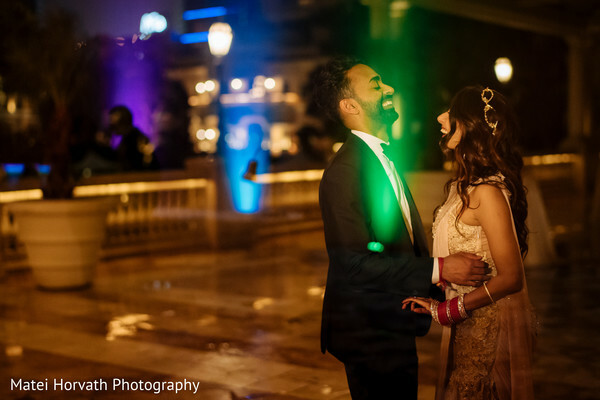 The instant the beaming newlyweds burst into the space, the party rocketed off into a haze of dancing, singing, and pure joy! All you brides to be, make sure to check out Maharani Ruchika’s fashion forward sari gown by Jyostna Tiwari for a fantastic fusion look! 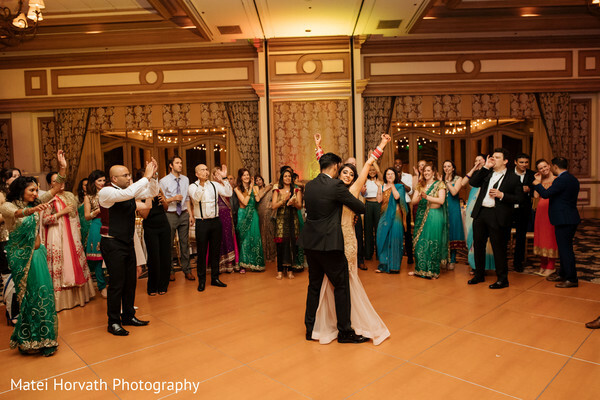 The couple brought in the incredible talents at Karmagraphy to provide Bollywood caliber dance performances and Glen Nowak for live musical entertainment. Special Occasions DJ brought the house down with their banging beats, and guests were rocking out on the dance floor until the wee hours of the morning! 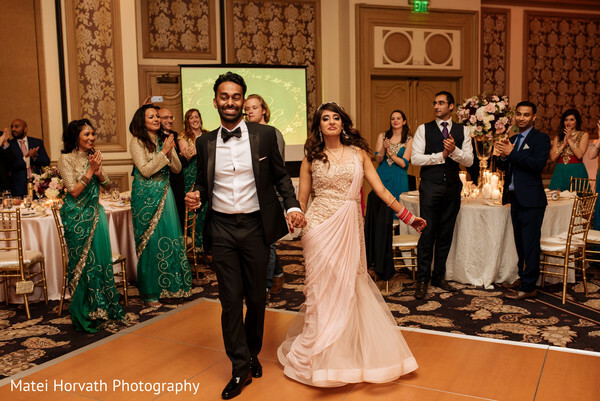 The reception party was definitely worthy of Las Vegas’ fun-filled reputation! 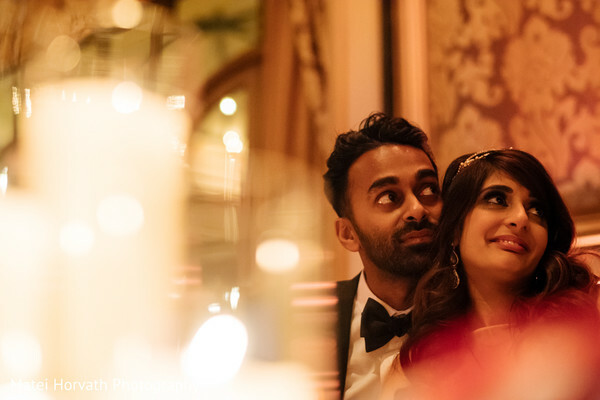 Beyond Media captured every magical reception with their masterful cinematography, and we can’t wait to see the final wedding film! 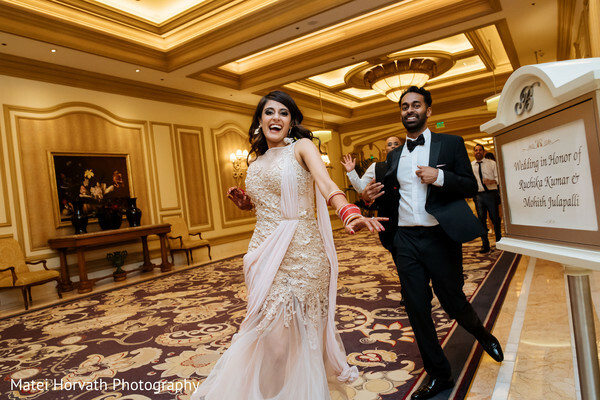 Please scroll through the full gallery by the artists at Matei Horvath Photography to relive this epic Vegas wedding celebration! We’re so happy for Ruchika and Mohith and wish them tons of happiness on their matrimonial journey together! What a fabulous wedding! Have a fantastic weekend and we'll see you bright and early Monday morning with another spectacular feature! Matei Horvath Photography is a member of the Platinum Guide. Love what you see? Explore their portfolios.